Knowing exactly how much money you’re going to gain from selling your house is a critical piece of information and one that many people tend to be mistaken about. Fees and taxes can take a bite out your proceeds that you need to be ready for, so ask your realtor to prepare a Net Proceeds document for you that will give you a breakdown of all the costs associated with your sale. Here’s an overview of the types of costs you’re are likely to face when you sell in Massachusetts and where you’ll incur them. Not all of them may apply to your specific situation. If you live in a town with municipal sewer service, for example, you don’t have to worry about the cost of a Title V certificate, which a seller with a septic system would. Your attorney will provide a detailed breakdown of these costs prior to the actual closing. In Massachusetts, sellers with septic systems must have them inspected and certified by the local Board Of Health who issue a document called a Title V Certification verifying that your septic system is working effectively. Your transaction won’t close without this document, and your buyers’ lender won’t give them a loan without a Title V in hand. Again, your transaction won’t close without documentation from your local Fire Department verifying that your smoke and carbon monoxide detectors are the right kind and installed in the right place. Your realtor will go over the State regulations with you and help you with your installation. The inspection fee in most towns is about $50. This can be an easy cost to forget to factor into your estimates. Hopefully you’re working with a good realtor who’ll schedule the inspection for you. You’re town/city needs to read the water meter, usually on the day before you close, and to produce a final bill that you must pay before your closing. They’ll issue a invoice marked “PAID” that you must produce at the closing for the transaction to complete. The Commonwealth of Massachusetts derives revenue from the sale of real estate through the sale of state tax stamps. The amount of the excise tax stamp differs from time to time depending on the action of the State General Court. The seller pays for the amount of this stamp just as the buyer has to pay the recording fee for the deed and his/her mortgage. The money paid for the tax stamps is income to the Registry and is forwarded to the Commonwealth of Massachusetts Department of Revenue. The current tax stamp rate is $4.56 per $1000.00 of value. 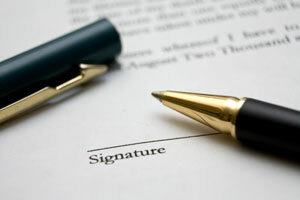 The closing attorney charges include document preparation, notary fees and a settlement or closing fee. These are all one-time charges and add up to about $800-$1200. There may be a separate, one-time fee that covers preparation of the final legal papers, including a deed or trustee certificates. These legal documents run between $50 – $150. Signing numerous documents, including the deed, bill of sale for personal property, closing statement, etc. A check for the proceeds of the sale. Confirmation that agreed repairs have been made and paid for. If not, funds will be escrowed to cover them. A “no-lien” affidavit showing all bills have been paid, except for those known and agreed to by both parties. Minor glitches or disagreements. Sometimes closings don’t go completely smoothly, but most issues can be worked out without fuss. Closing costs. The estimated closing costs are different from what you thought they would be. A seller might discover that he or she must pay off a lien against the property or some other expense is involved that was not caught before closing. Encroachments. When a new survey is completed, it is discovered that a storage shed, fence or some other type of structure is sitting over the property line. Final figures and charges. You arrive at the closing to discover that the settlement figures differ slightly from the figures you saw on the HUD-1 statement prior to closing. This is where Murphy’s Law comes into effect. It doesn’t seem to matter if you are the buyer or the seller, the error will not be in your favor. Pre-closing inspection issues. Your buyer has a right to walk through your house the day before or day of closing to confirm that the condition of the home is the same as it was when the contract was executed. He or she will also verify that the items that were supposed to be left are still there. If any repairs were to be made, they should also have been completed by the time the walk through takes place. If the agreed repairs aren’t finished by the closing, it’s usually possible for the buyer’s attorney to withhold or escrow equivalent funds required to make them. This will allow the closing to proceed as scheduled. The good news is that between the realtors and attorneys, most of these problems are resolved with little or no difficulty.